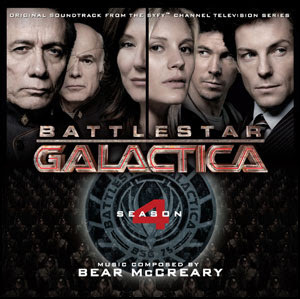 One thing you can almost from every Battlestar Galactica fans to agree upon is the brilliant score by Bear McCreary. My personal favourite is season three's soundtrack, but rest assured all three soundtracks are worth buying and listening to. Bear McCreary has finally confirmed that the two-disc season four/finale soundtrack will be released next month on 21 July. According to Bear, the second disc will include virtually every second of the "Daybreak" score and almost all tracks will be "nice and long", with one in excess of 15 minutes!